HTC came up with their latest revealed android smart phone from the series of HTC desire. The HTC desire is one of the most popular series of HTC which had a successful year last year. Some of the desire models being HTC desire C and HTC Desire X. This particular smart phone from the HTC desire series, HTC Desire 600 also follows the unique trademark of being a mid end android smart phone for the users. Though the HTC one X has carved in new venues but the HTC desire 600 has its own uniqueness to stand out in the crowd. It is not surprising though from the makers of HTC one, but the phone had little space for modification. 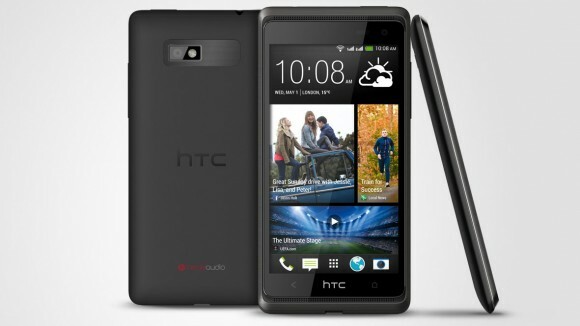 One of the important criteria that this particular HTC desire 600 focuses on, is the using of SIM cards. This directly hints that the HTC are eager enough to grab a larger market of people who are the youths or to those who are always in some way or the other is attached with connectivity. The added facility of the HTC desire 600 is that it has “dual active” connectivity. This is a great function, it means when one person is attending a particular call can receive a further call without deactivating the present call. HTC desire has a 1.2 GHz facility of snapdragon. The smart phone comes with a fine package of 1 GB RAM in built storage in it. The screen is of 4.5 inches and it has an LCD screen with high definition clarity visuals in it. Similar to its contemporary, HTC One, the smart phone HTC Desire also has a blink feed launched in it. This enables to give you the latest updated feeds on your favorite stories from Facebook and twitter walls straight on your Home screen. HTC speaker with boom sound facilities: Similar to that one of its flagship model HTC one, the HTC Desire also comes in with superior boom sound speakers in the front position, it also has the audio beats processing units which were present in “One” also. In the asset of connectivity the HTC Desire is a really eye candy treat as it has dualband connectivity of HSPA and triband connectivity of EDGE/GSM. HTC Desire has an internal storage capacity of about 8 GB adding with it has micro SD card slot. It has battery strength of 1860 mAh. This indicates that it can run continuous for 11.1 hours if one is engaged in 3G talk time. Unlike the previous models one of the biggest things that this HTC Desire comes with, is the easy to remove and swap sim when you do not need it. This is one request which went vocal by the users of HTC in the past which is finally answered. So, if you are looking for a mid ranged android smart phone with good features then HTC Desire can be one of your choices.